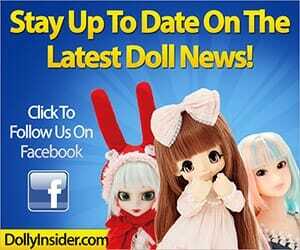 Looks like Brothers Grimm is spreading fairy tale dust of inspiration around the dolly community. 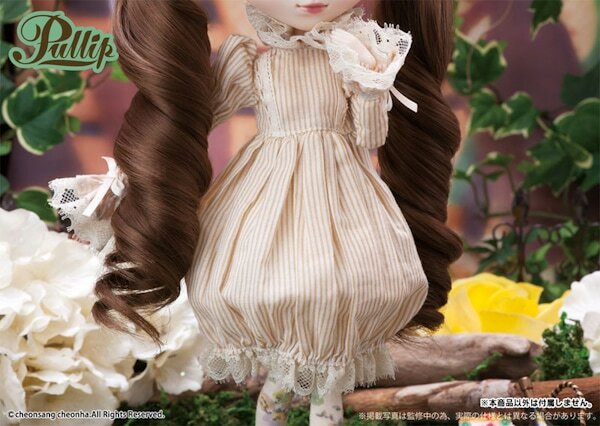 Takara Tomy recently announced a doll who has traits similar to the Grimm's fairy tale Rapunzel, and now Pullip collectors can own a piece a of folklore fantasy and enchantment with the latest release from Groove Inc. 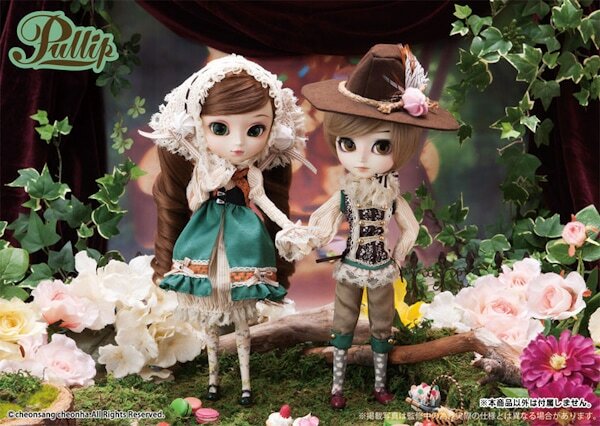 Escape the clutches of the witch with Pullip Gretel and her brother Isul Hansel. 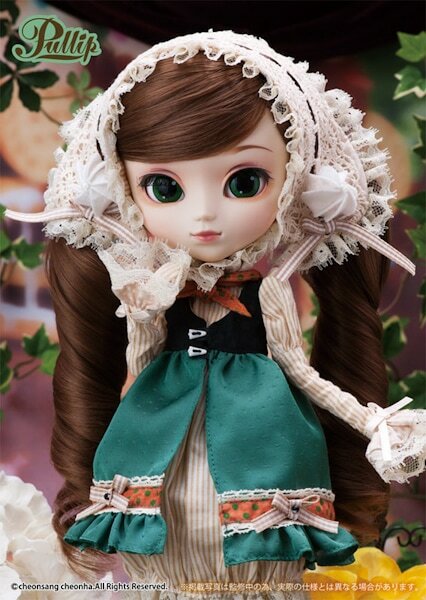 Looking at Pullip Gretel makes me feel uncomfortable and scared for her life . . . "Gretel free yourself from the oven!!!!" Okay, sorry for being overly dramatic but seriously her appearance is so helpless and sweet, that I can't help but feel sad. This feeling could be due to the brown melancholy color scheme. 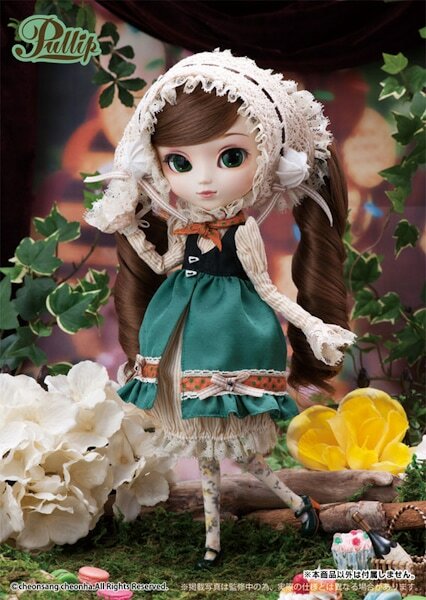 Which I guess fits the forest/Germanic role perfectly but at the same time I want a Pullip doll that actually looks happy and not so sober and low-key. I wish AGA inserted their own spin/twist to this old classic tale instead of being so literal. 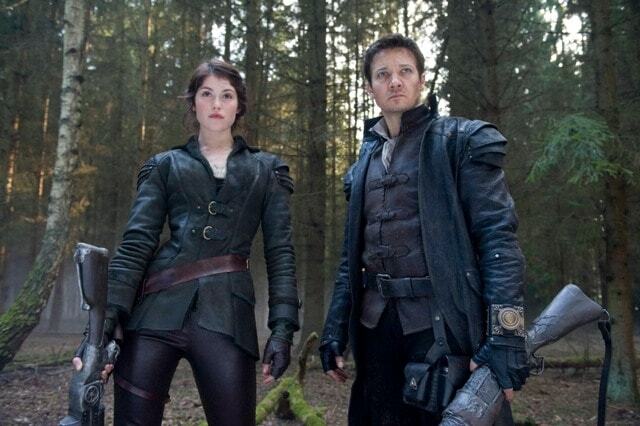 Why not add some Tim Burton flair to it, be colorful and bold, or take some inspiration from the edgy 2013 Hansel & Gretel: Witch Hunters film, okay the last one maybe a stretch but it could work. The point I'm trying to get across, is why play it safe? 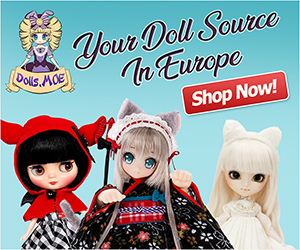 They're dolls, why not have some fun and stretch the imagination of both the creator and the collectors. But with all that being said, I wish AGA would've poured more creativity into this release. 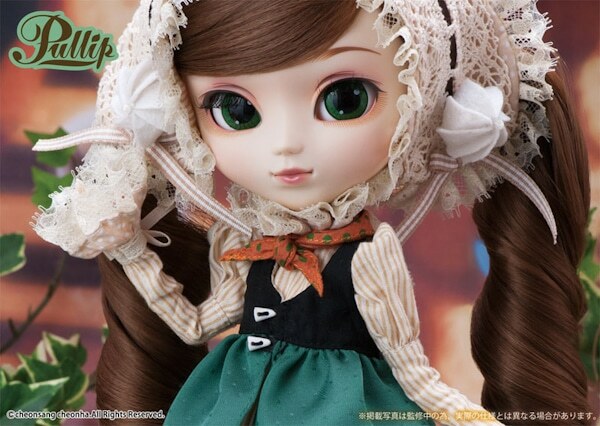 Random thought: I think Pullip Meg and Gretel would make a perfect pair. 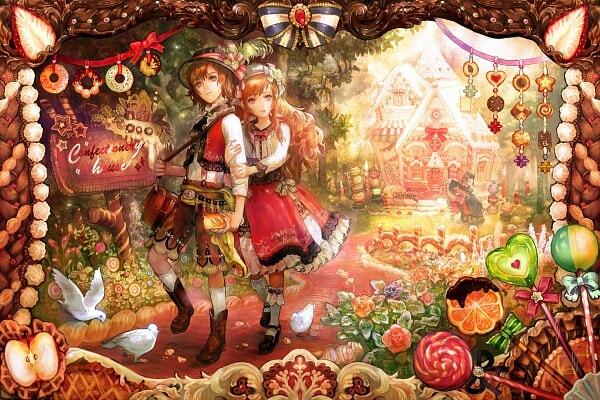 Let's rewrite the tale to include Meg, Gretel, and Hansel xD. 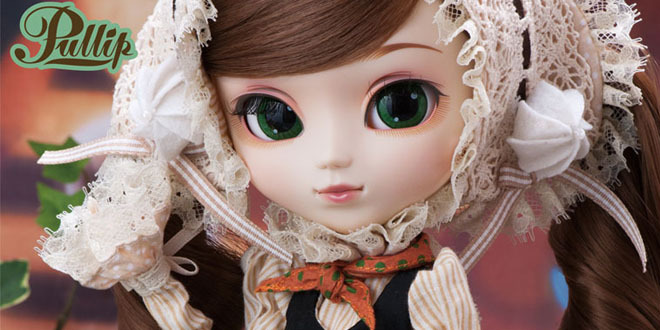 Okay enough of my rumbling it's time to hear your thoughts on this innocent but cleaver girl Gretel. 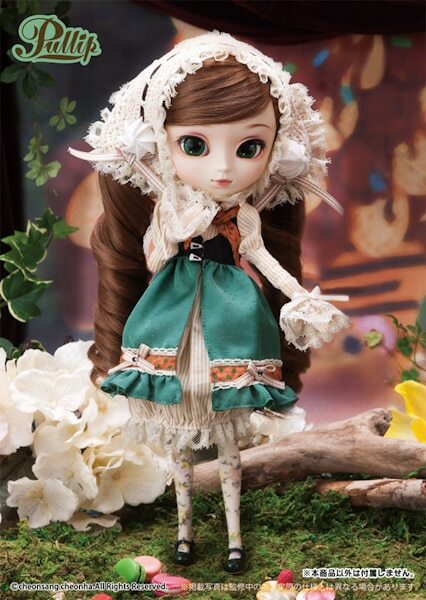 What are your thoughts on Gretel, do you think AGA did a great job designer her, or do you desire more from her too? 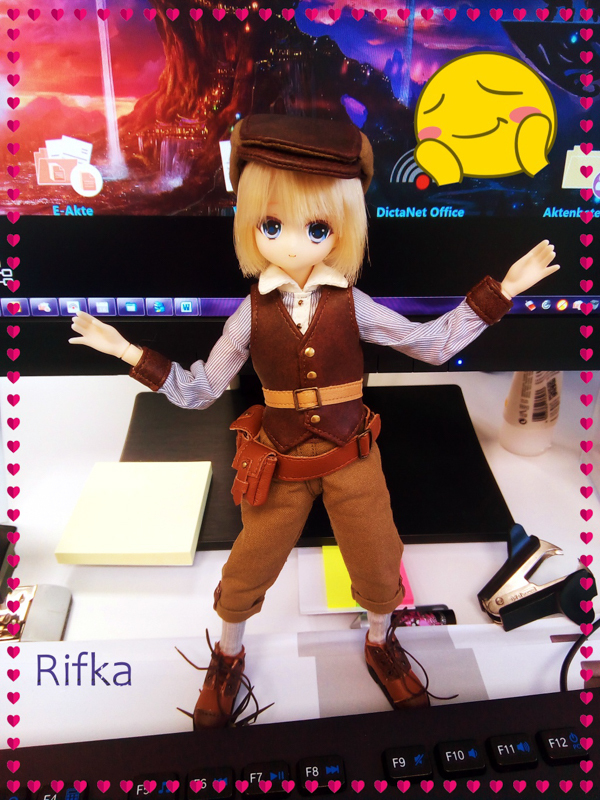 Is she an instant purchase for your collection, or will she be trapped and forever doomed in the witches clutches? Let us know in the comment box below, can't wait to hear your thoughts on Gretel. Need a refresher on the Hansel and Gretel tale? You can read the tale here for free! I would have liked to see them play up the candy theme of the story more. For me its one of the most memorable images in the story. 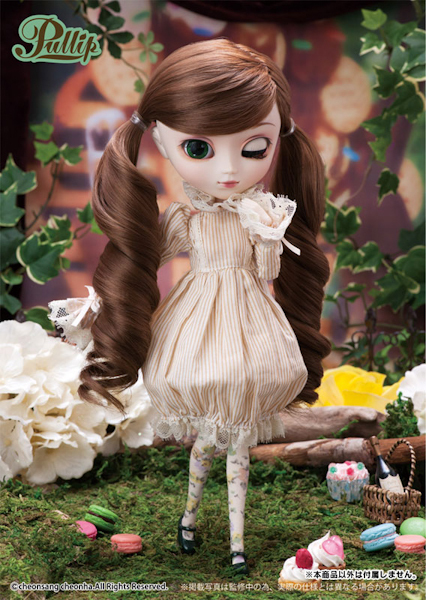 I do like the little meringues in her hairpiece, that’s a start for sure! 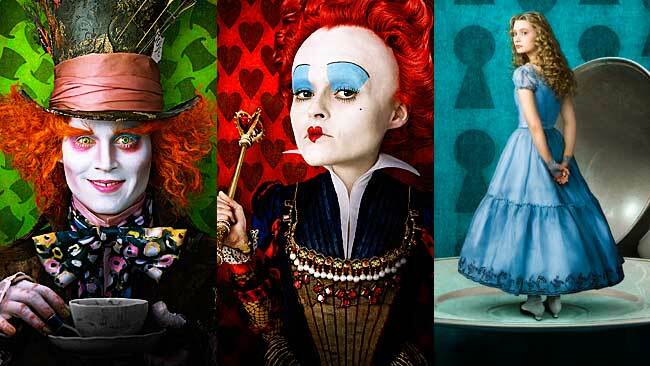 Maybe they could do the witch next and really go wild with that theme! 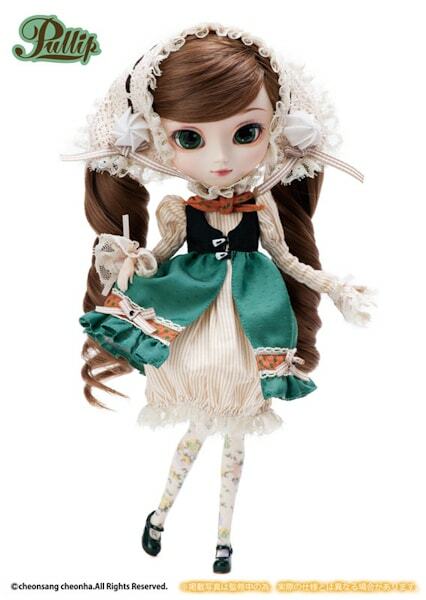 I do like this Gretel, but I don’t think I’ll rush to order her right away. You bring up a good point, will they continue the Hansel and Gretel story with variations? I would love to see a witch and the candy cane theme that you mentioned sounds incredibly awesome! 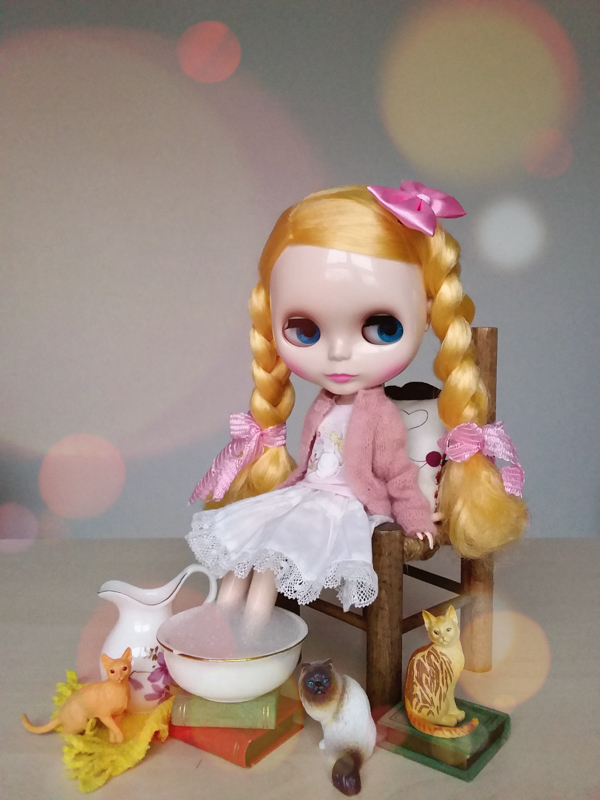 Thanks for chatting with us about Pullip Gretel.